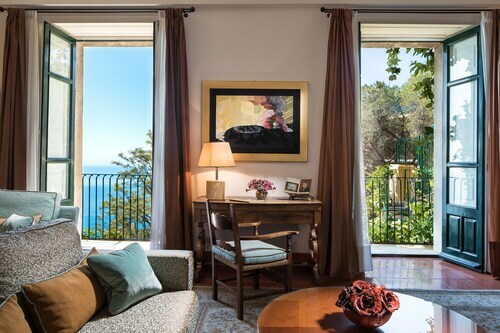 Situated by the sea, this spa hotel is 0.8 mi (1.3 km) from Marina di Cottone Beach and within 6 mi (10 km) of Giardini Naxos Beach and Archaeological Museum. Isola Bella and Greek Theatre are also within 12 mi (20 km). 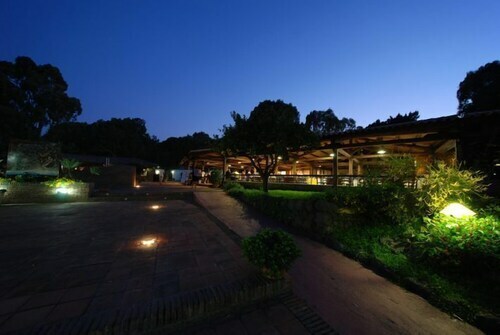 Situated in a regional park, this farm stay is 1 mi (1.5 km) from Norman Castle of Calatabiano and within 3 mi (5 km) of San Marco Beach and Marina di Cottone Beach. Recanati Beach is 2.9 mi (4.7 km) away. Calatabiano Station is only a 1-minute walk. Nestled on the beach, this Calatabiano inn is within 3 mi (5 km) of San Marco Beach, Marina di Cottone Beach, and Norman Castle of Calatabiano. Giardini Naxos Beach and Recanati Beach are also within 6 mi (10 km). 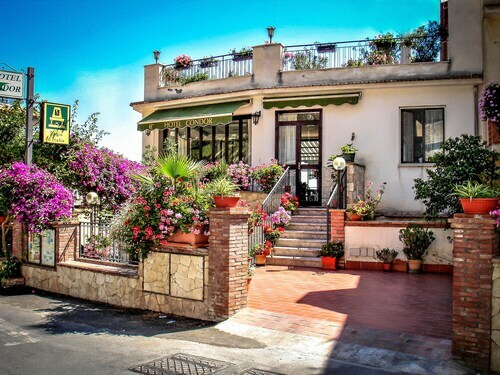 Located in the heart of Calatabiano, this apartment building is 2.7 mi (4.3 km) from Giardini Naxos Beach and 2.8 mi (4.5 km) from Archaeological Museum. Isola Bella and Lido Mazzaro are also within 6 mi (10 km). Calatabiano Station is 17 minutes by foot. How Much is a Hotel Room in Calatabiano? Hotels in Calatabiano start at $54 per night. Prices and availability subject to change. Additional terms may apply. Thanks to Travelocity, you are in the ideal position when it comes to start securing vibrant hotels and apartments in Calatabiano. Inside Travelocity's up-to-the-minute booking section, you'll find 201 places to stay within a 6-mile (10-kilometer) distance of Calatabiano's center. 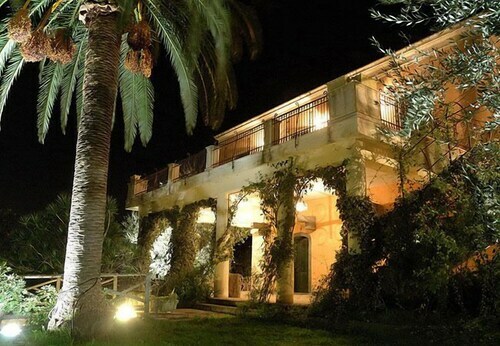 Rooms located within a short walk of Calatabiano's city center, are the Agriturismo Terrenia and B&B Villa Veronica. The Belmond Grand Hotel Timeo is situated 5 miles (8 kilometers) from the downtown area of Calatabiano. 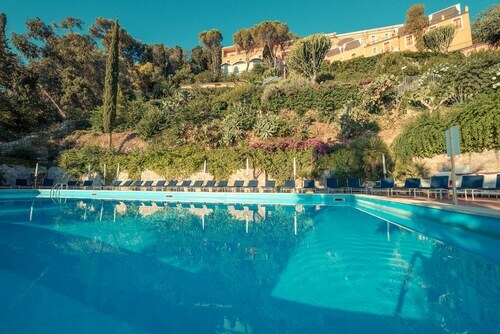 If you would prefer another option, the Belmond Villa Sant'Andrea is positioned 5 miles (9 kilometers) away. The Metropole Maison D'Hotes and the Grand Hotel Mazzarò Sea Palace are some alternative bases in Calatabiano. Hoping to journey a little out of the center? Sicily boasts many beautiful attractions worth seeing. If you're a nature lover, be sure to explore Sicily's rural landscapes, beaches, rivers and mountains. You should also wind your way through a selection of its ruins, castles and old towns. Sporty travelers can also involve themselves in snowboarding, skiing and cross-country skiing in this part of Italy. 13 miles (21 kilometers) from Calatabiano, you'll find Acireale, which is where you can spend a few hours exploring Cathedral of Acireale and Piazza del Duomo. 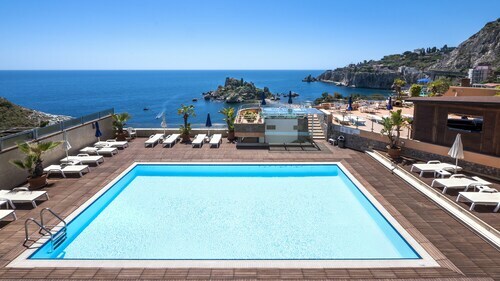 If you want to head to Acireale, check out the rooms at the Hotel Orizzonte and San Biagio Resort. 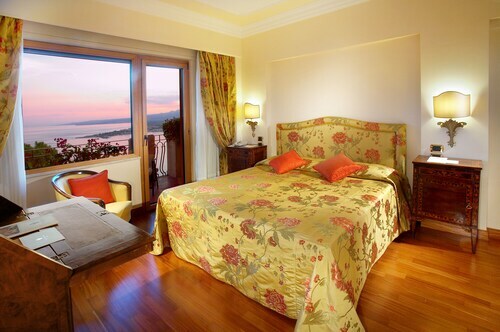 For another option, stay in Aci Castello, 19 miles (30 kilometers) to the south of Calatabiano, where you can choose between the Grand Hotel Baia Verde and 4 Spa Resort Hotel. Should you choose to stay in Aci Castello, it's worth visiting the Norman Castle and Lachea Island. Make sure you spend a few hours hanging out with excited lovers of sport at a local game. You'll find Angelo Massimino Stadium 20 miles (36 kilometers) to the south of Calatabiano. For travelers who are interested in checking in to a room close by, book in the Romano Palace Luxury Hotel or Liberty Hotel. Fontanarossa Airport is a practical gateway for accessing Calatabiano. You can find it 25 miles (41 kilometers) from the downtown area. For travelers who would find it convenient to find a room nearby, book the UNA Hotel Palace or Romano House. This hotel is in a perfect location with views of the ocean, Mt. Etna and the city proper. It is also located adjacent to one of the most beautiful parks. Gorgeous view from the balcony of the sea and mount Etna. Great location a 5 minute walk to Main Street. Great pool perched on the cliff. This hotel was great, the staff and facilities were very nice. The view was incredible. Already planning another trip and will stay here again next year. My family and I enjoyed this hotel because of its location and because it met our expectations. It was clean, comfortable, and situated perfectly so that we could walk around wherever we wanted to and not be too far from our rooms. The breakfasts were great and the staff was fantastic. We'd recommend this hotel without reservation. Great family run hotel! Stayed in Room 34, a superior sea view room with an excellent view from our balcony!. Room was a good size-had refrigerator, safe, hair dryer. Had shampoo, shower gel, shower cap which was replaced when used. Great wifi. Bed somewhat firm but pillow comfy, room dark in AM-outdoor blinds on windows. Family-run hotel. Computer in lobby. 24 hour reception with good security-needed to be buzzed in. About a 15 minute walk from bus terminal. Somewhat on the edges from the mainstream but still walkable and great price from Travelocity. Towels changed daily. TV channel in English-Fox. Staff extremely helpful with suggestions for restaurants-gave card for 10% discount in some restaurants. Staff helpful with problems with outside tours and in getting us front row seats at the opera! Breakfast had a great view on the upper floor with various coffees, orange-rossa juice, assorted breads and pastries, ham, cheese, hard boiled eggs, yogurt, cereal, green and red grapes, canned fruit cocktail, assorted nutella, jellies. Room clean except for shower curtain edges. 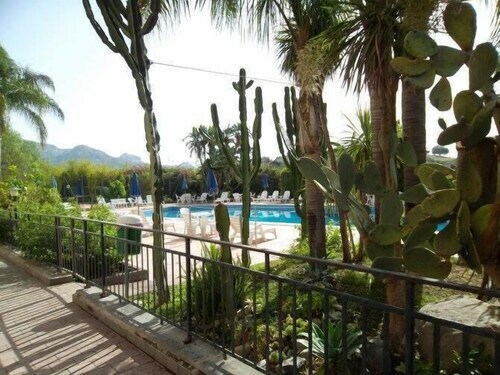 Up to 6 Guests Wifi Great View, Garden 5min to Taormina - By "suntripsicily"